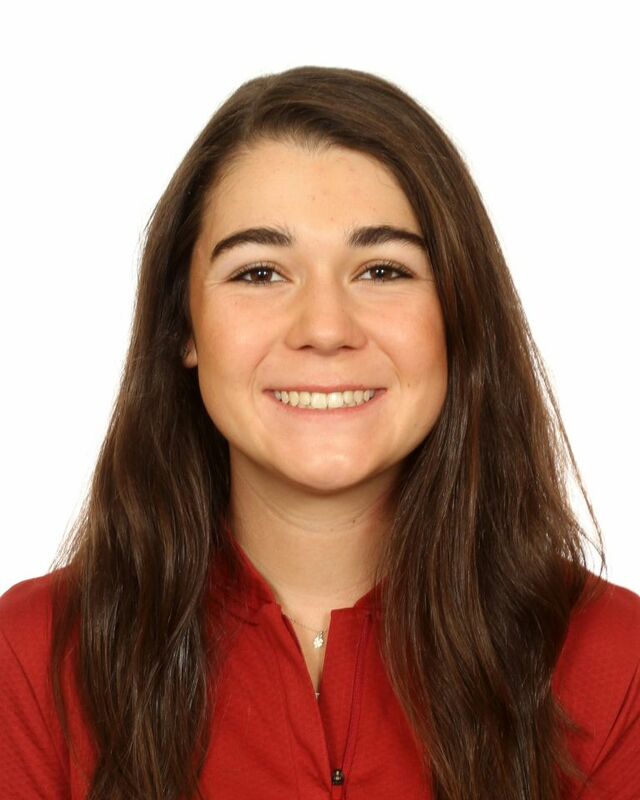 As a junior, she is one of three upperclassmen on the Seminoles’ 2018-19 roster…a member of two NCAA Tournament teams who has played in four events during her career…played in four events as a sophomore – the Schooner Fall Classic and the Stanford Intercollegiate during the fall of 2017 and the Florida State Match-Up and the Brickyard Collegiate during the spring of 2018…career low score of 70 came in the third round of the fall 2017 Schooner Fall Classic and in the second round of the Florida State Match-Up in the spring of 2018…in the Seminoles’ lineup for the Schooner Fall Classic and the Stanford Intercollegiate in the fall of 2017…one of the top prep golfers in the State of Florida at Lake Highland Prep in 2016…a confident golfer who has been successful at every level of golf during her career…played in the 2015 U.S. Women’s Amateur in Portland, Ore., as she qualified for the event by shooting a 74 at the Allendale Country Club in Massachusetts… first career hole-in-one came in the first round of the 2015 Honda Classic High School Invitational at the PGA Resort in Palm Beach, Fla…a valedictorian of her senior class at Lake Highland Prep…a member of the Student Athlete Advisory Council (SAAC) at Florida State for the 2017-18 Academic Year…named to the 2017 and 2018 ACC Academic Honor Roll…named to the Dean’s List At Florida State in the fall of 2016, the spring of 2017 and the spring of 2018…earned the Femina Perfecta award for the women’s golf team presented by the Seminole Boosters in September of 2018…the award goes to the “complete woman” on each of the Seminoles’ 11 women’s athletics teams with each recipient exemplifying motto on the Florida State University seal — Vires, Artes and Mores…the award is presented to the player who is invaluable to each team, one who is a great teammate and will always make a difference… averages 77.67 strokes in 12 rounds during four career tournaments. Finished in third place at the Hurricane Collegiate Golf Tour event at Walt Disney World with scores of 74-78=152…finished in a tie for 34th place at the 2017 FSGA Women’s Amateur Stoke Play Championship at Sara Bay Country Club in Sarasota. Played in two events – the Schooner Fall Classic and the Stanford Intercollegiate – as she earned playing time as a Seminole for the first time in her career…earned the best score of her career, a 1-under par 70, in the third round of the Schooner Fall Classic at the Belmar Golf Club in Norman, Okla.…her score of 70 included the first eagle of her career, two birdies and 12 of 18 holes scored at par…her eagle came on the par 5 hole No. 18 and helped her shoot 2-under par on her first nine holes of the event…her second nine included eight of nine holes scored at par…helped Florida State to a fifth place finish in the team standings of the event…totaled eight birdies over her three rounds played in the Stanford Intercollegiate…averaged 78.17 strokes in six rounds during two tournaments. Played in two events as an individual – the Florida State Match-Up and the Brickyard Collegiate – during the spring of her sophomore year…totaled scores of 75-70-77 for a three-round total of 222 in the Florida State Match-Up…tied her career low of 70 in the second round of the FSU Match-Up at the Don Veller Seminole Golf Course…set career best for a single round score (70), for a 36-hole score (145), for a three-round tournament score (222), for a tournament score vs. par (+6) and for her career best finish (tied for 31st) at the Florida State Match-Up….averaged 77.17 strokes in six rounds in two tournaments. Born November 23, 1997…Ashley is the daughter of Anita and Michael Mangan… her mother, Anita, is a Systems Engineer at Lockheed Martin…her father, Michael, is the Assistant Director of Scouting for the Pittsburgh Pirates… her sister, Britney, began her playing career at Virginia during the fall of 2018…Britney won her division championship at the 2009 Junior Girls Championship sponsored by the Florida Women’s Golf Association…a member of the National and Latin National Honor Societies…accepted into the Florida State honors program and earned both a Bright Futures Scholarship and a Florida State Freshman Scholarship to attend Florida State University…enjoys traveling, watching movies and spending time on the beach…selected Florida State after considering Dartmouth and William & Mary when making her collegiate choice…major is finance.